Sanrio and O’Neill partner for Hello Kitty swim collection. Sanrio, the lifestyle brand best known for the creating Hello Kitty, teamed up with iconic surf brand O’Neill for a playful girls collection of swimwear and related apparel and accessories. 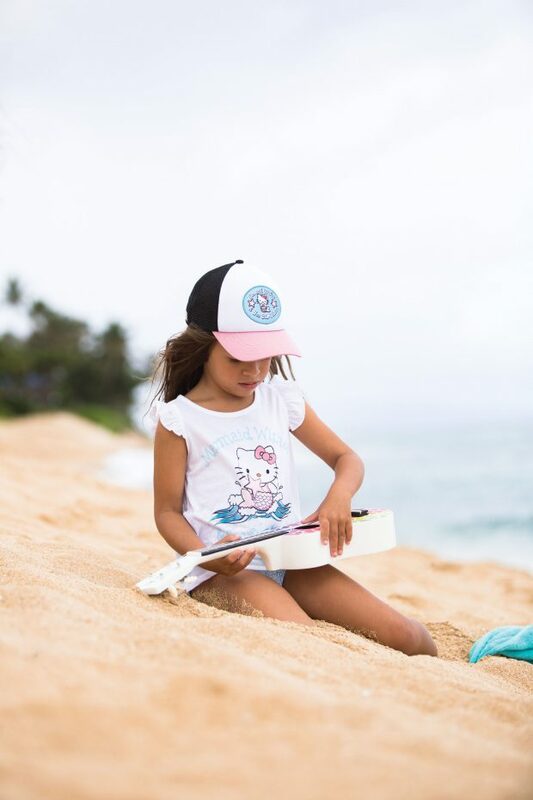 The O’Neill x Hello Kitty collection offers girls’ swimwear, cover-ups, graphic T-shirts and tank tops with beach accessories embellished with Hello Kitty details and inspired by vintage tropical shirts. Expect to see a one-shoulder Hello Kitty print maillot with ruffles, a woven cover-up with pom-pom trim and an embroidered cutout design, as well as a tote bag that transforms into a beach towel. To celebrate the launch, O’Neill and Sanrio will host launch events throughout the summer, including family activities, giveaways and a chance to win a limited-edition O’Neill x Hello Kitty surfboard, as well as appearances and photo opps with Hello Kitty herself. The collection is available in sizes 2T to 6 with an MSRP of $18 to $54. The line will be available at Oneill.com, Sanrio.com, select Sanrio stores and independent, specialty retailers April 11, with release on Nordstrom.com and at select Nordstrom stores in early May. A Fall capsule collection will follow the summer collection, debuting mid-May.